Our trip to Iceland may have been a couple of months ago, but it’s still very fresh in my mind. I’m still processing all of the memories in my head, and we miss it every day. 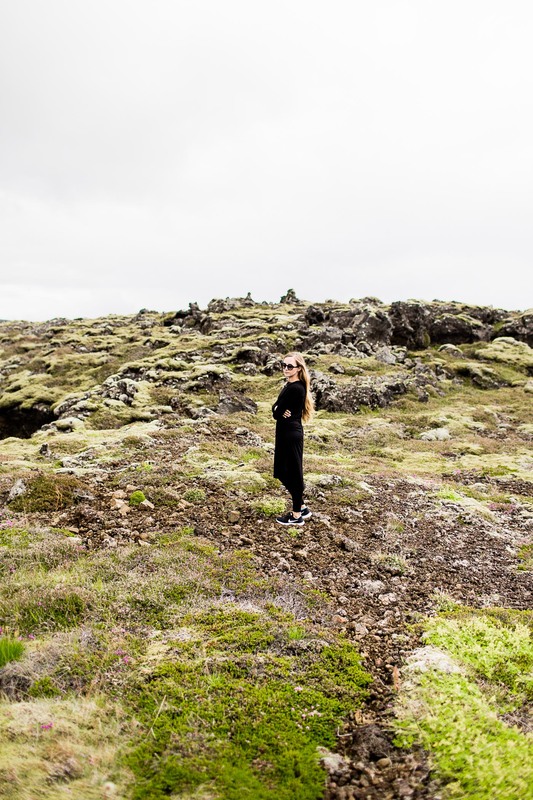 The entire country is especially beautiful (and photogenic), but there are a few spots that make for great instagram photos, so today I’m sharing my favorite instagram spots in Iceland. I feel like this is an obvious but very necessary addition to the list. Not only is this place relaxing and magical, it photographs wonderfully. 360° views of downtown Reykjavík. The architectural detail in the building surrounding this pool is natural and the view is near unbeatabale. A bright red crater lake near the Golden Circle. You can hike around the rim, or hike to the bottom. Large volume, stunning waterfall in Southern Iceland. Photograph from the bottom or hike to the top for a different view. Beautiful glacier-cut canyons that allow you to photograph from below, or above. This wonderful bright red chair is bolted down to some rocks in the middle of nowhere. Seriously. This highway traverses a large mountain, then goes through a one-lane tunnel and emerges into a winding road much-like the one Walter Mitty skateboarded down (that actual road is a couple fjords over). The architectural lines of this are strong and it sits atop a hill overlooking the small town of Akureyri. Driving through this area surrounded by detailed and colorful volcanic mountains felt like driving through mars. Rugged and softened by moss, this lava-field coastline includes plenty of interesting shapes and silhouettes for photos, including an arch in Hellnar. If you missed my guide to doing a road trip around ring road in Iceland, you should definitely check it out! Iceland has been on my travel bucket list for so long and these photos just have me itching to book a trip ASAP! It’s so beautiful! Lovely, amazing photographs. So beautiful! Absolutely stunning. Every. Single. One. Simply amazing. I can’t wait to go there someday. These photos are gorgeous and scream Insta snaps. The red chair in the middle of nowhere, that is breathtaking. So many gems. I’m DYING to go to that blue lagoon. AMAZING! All of these photos from Iceland are just beautiful! I keep telling my husband that I want to visit so bad! Oh these are all magnifecent views but to sit in that chair, I would have a nervous break down lol. OMG. I fall in love with this photos. I hope I will visit this places too.